It’s out! SteamOS—Valve’s living room-oriented operating system created primarily to run games—is finally here, in our office, running on a real machine. But notice how I didn’t say that it’s running on every machine in the office. Notice how I also didn’t say that it’s running on my home machine. We weren’t kidding when we wrote that you might want to wait before you install. Wait for how long? I don’t know, yet, but SteamOS as it stands today is rough. It all begins with the installation process. As Valve’s initial release announcement stated, “Unless you’re an intrepid Linux hacker already, we’re going to recommend that you wait until later in 2014 to try it out.” Installation, while possible, definitely isn’t polished enough for the general public. First we run into the system requirements: Your computer must pack an Nvidia graphics card, because AMD and Intel aren’t supported (yet). Also, SteamOS is incapable of living peacefully alongside Windows—the installation wipes any existing drives. You have to use a special drive and (optimally) a separate computer to run SteamOS at the moment. 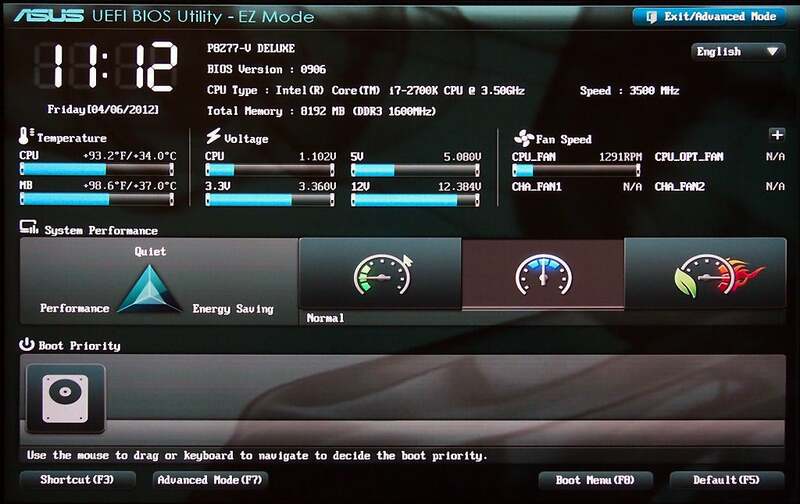 Your computer must sport a UEFI-enabled motherboard. Even if you are using a UEFI-enabled motherboard, prepare for some fun. The Asus motherboard in my machine was locked to Windows by default, and it took me far too long to figure out why the computer wasn’t recognizing the bootable USB stick I’d made. Eventually I uncovered the option to turn off Windows-only protection—it was hidden beneath three submenus—but it can trip you up if you’re only used to installing Windows. I went with the 960MB, “harder” method for installation (it uses the Debian installer instead of a System Restore) because I’m a masochist. Once I figured out my UEFI issues and installation started, the pain subsided. I opted for Automatic Install, but there’s an Expert Install if you like micromanaging what’s on your computer. Installation took approximately 20 minutes, all told. Do you dare trust a robot? Or are you an expert? 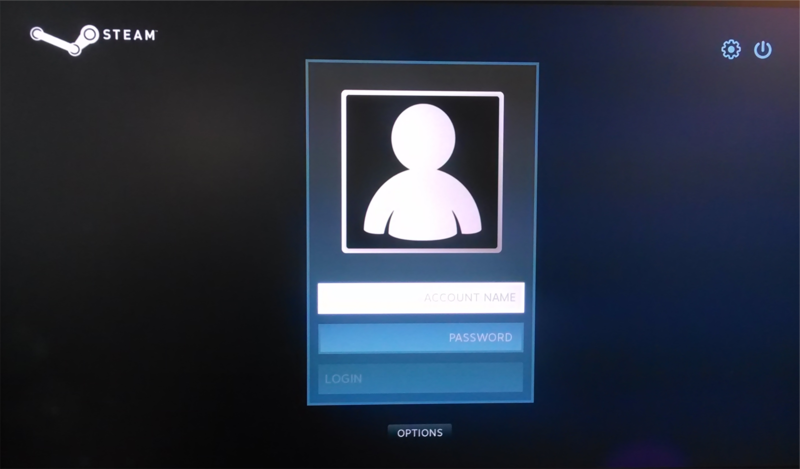 Next you have to log in to the computer’s “steam” user. Though Valve’s FAQ lists the “steam” account as predefined, the system won’t tell you it exists. Just type steam for both the username and the password, and you’ll be in. Also, make sure you’re logging in with Gnome, not Default Xsession. 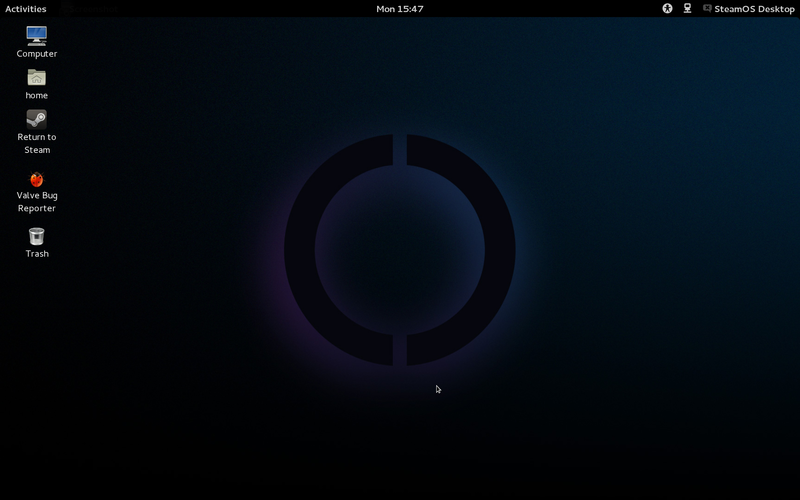 Make sure you log in with Gnome, not Default Xsession. Here I ran into my next bit of confusion. Valve’s FAQ tells you to run Steam once you’ve logged in, but the “Return to Steam” shortcut on your shiny new desktop does nothing. Later on, this shortcut will be used to swap from Desktop mode to Steam Big Picture mode, but you need to ignore it for now. Instead, go up under the Activities menu, launch Terminal, type steam and hit Enter. This will run Steam, and you should see the EULA pop up. Allow Steam to update, then log out. The "Return to Steam" shortcut on the desktop does nothing yet. Use Terminal instead. Now you have to log in to the “desktop” account. Like the “steam” account, just type desktop for both the username and the password. Once logged in, open Terminal again. Type ~/post_logon.sh and hit Enter. When prompted for a password, type desktop again and hit Enter. Your computer will go crazy. All sorts of stuff will scroll across the screen. Wait until it stops and asks you for approval, then type y to continue. Congratulations! You’ve now created the System Restore that Valve already provided on its website. And it took you only 600+ words to get here! Lots of stuff will scroll across your screen, “Matrix“-style. Don’t worry—that’s supposed to happen. I was in! 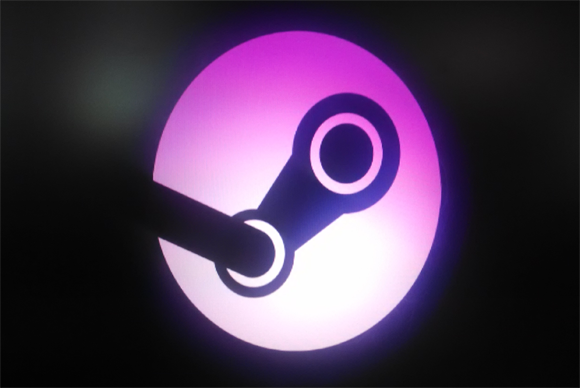 The SteamOS icon popped up on screen, and I celebrated with a big ol’ fist pump. 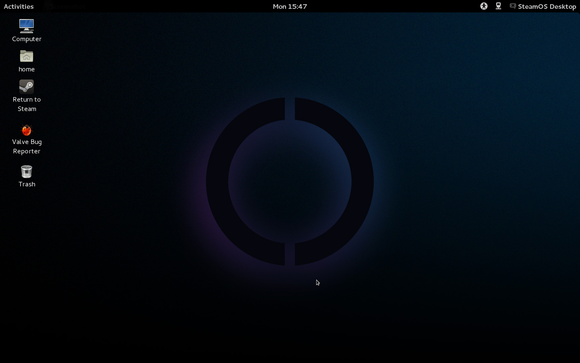 And then the SteamOS icon stayed on screen for two or three minutes. Then both screens went black. Such a pretty icon, though. So I waited. And I waited. And I—well, you get the picture. I sat there and checked Twitter and occasionally glanced up at blank screens for 30 minutes. Finally, I could take no more. I turned to my almighty friend Google. Turns out SteamOS sometimes runs into issues with dual monitors. For whatever reason, SteamOS couldn’t handle my two-screen setup and decided to output nothing at all instead. So intuitive! I killed the machine, unplugged one of the HDMI cables, booted it back up—and lo and behold, it worked. I finally (finally) could use my brand-new Steam Machine. Or at least the super-early, baby’s-first-play-set version of a Steam Machine. There are two major features on the SteamOS horizon that didn’t make it into this release: family sharing and game streaming. I’ve never been so happy to see a login screen. The family-sharing feature, which lets you authorize other users to share your Steam library while you’re not accessing it (on a device-by-device basis), is in a limited beta right now. I’ve tested it with a few friends, but it wasn’t rolled out to the general Steam community. Valve isn’t saying when it might come to the masses. Game streaming is also notably absent. 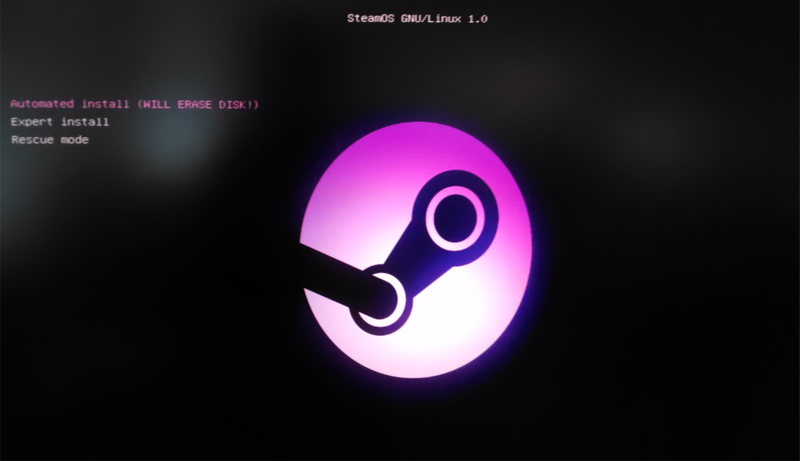 Streaming is Valve’s solution to the Linux issue: There are comparatively few titles compared to the long list of Windows games. Instead of wrapping Windows executables with WINE, Valve hopes you’ll run the games on your standard Windows desktop machine (at least until Linux games/ports maybe become standard). Then you can stream that data over your in-home wireless network out to your Steam Machine, sitting pretty in your living room. Game streaming is probably the standout feature of SteamOS, and the one that raises the most questions. How well will it run? Will the lag render games unplayable? Are people really going to run two computers at the same time, just to sit on their couch? Steam doesn’t filter non-Linux games automatically, so don’t be surprised if you see something like this. And thus its absence is also very noticeable. You’re stuck running a sparse selection of Linux-native games. What’s more, Steam doesn’t filter your Linux-compatible games by default. 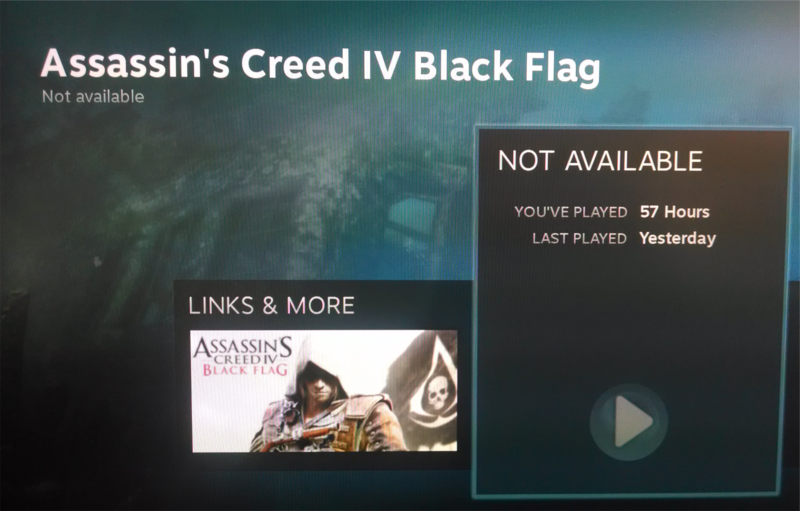 It teases you with glimpses of all the cool games you own, and then when you click one to install, it says, “Not available.” You have to filter your library manually to show only Linux games. So what did make into the beta? With no family sharing, no game streaming, and only Steam’s shallow Linux catalog to work with, what actually made it into this SteamOS beta? Very little, to be honest. SteamOS basically runs two separate instances at once: Steam Mode and Desktop Mode. After you’ve completed the entire installation and the system boots for the first time, you’re launched immediately into Steam Big Picture Mode. 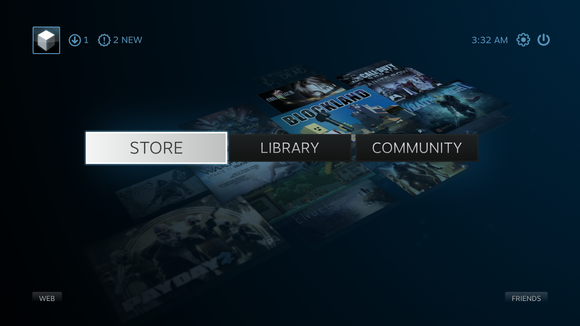 This is the primary interface in SteamOS. Yes, this means you can get approximately 85 percent of the current SteamOS experience by opening up Steam on your actual PC and clicking the “Big Picture” button in the upper-right corner. Seriously. This screenshot was taken in Windows, but you’d never know it. The only notable thing missing is a "Beta" stamp on the right-hand side. The other 15 percent? Dig into the SteamOS settings menu, under Interface, and you’ll find a box labeled Enable access to the Linux desktop. Do so, and you can then “exit” Steam Big Picture Mode and access a generic Debian desktop—though it’s clearly a secondary focus for the game-oriented OS. Here’s your beautiful new desktop. Unfortunately, If you have hundreds of games, as I do, scrolling through the interminable list of Windows Metro-esque tiles in Big Picture Mode with a mouse and keyboard is a major pain—especially compared to the simple text list in the “normal” Steam interface. This is not a convenient way to see what games I own. Worse still, the entire interface has a noticeable amount of lag when swapping among the Store, Library, and Community panes, and when switching from Desktop to Steam and back. While a bit of stuttering isn’t surprising in beta software, it’s one more reason to hold off from performing your own installation. With SteamOS centered around Big Picture Mode, it’s clear that Valve’s aim is to take over couches and living rooms. Navigating Big Picture Mode with a controller isn’t faster than using a mouse and keyboard on a normal Steam interface, but if this is actually going to be your primary living room machine, then it’s at least serviceable. In fact, while SteamOS won’t let you use your AMD graphics card yet, it does provide immediate support for Xbox 360 controllers. Valve’s touchpad-like controller may alleviate some of the current SteamOS issues. But navigating the actual Desktop Mode with a controller is a huge pain. Perhaps this is alleviated somewhat by Valve’s upcoming gamepad, which is said to be more like a laptop trackpad than a set of analog sticks, but right now the whole system falls in this weird in-between zone. 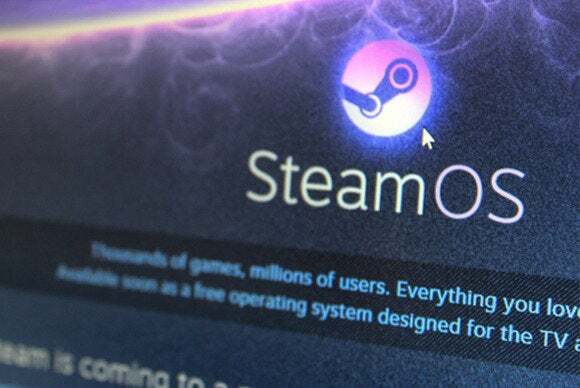 Valve managing director Gabe Newell talks about how much he hates Windows 8, but between the dueling interfaces and the Metro-style tiles, SteamOS really takes a lot of the worst design cues from Redmond’s operating system. Both of these operating systems have something in common: They’re obnoxious, and controlling them with a mouse and keyboard is unintuitive. Now admittedly, SteamOS is built for a very specific purpose: providing access to games in your living room. On a dedicated Steam Machine, with Valve’s new controller, maybe SteamOS is perfect. But this is not a Windows replacement for your desktop machine. Nor is it really a replacement, at least right now, for just running Big Picture Mode on a Windows machine in your living room. 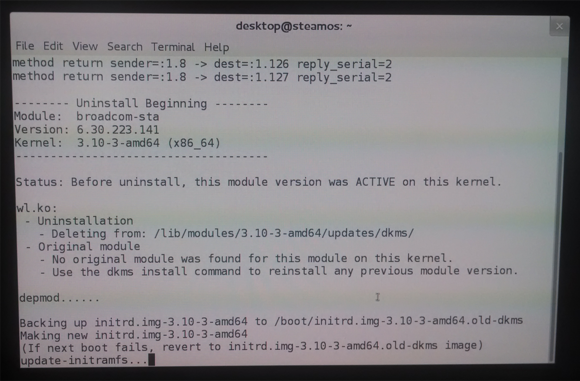 As for playing an actual game—after all, that’s the entire point of SteamOS—it works fine. Steam user lou silver put together a partial list of working and nonworking games. On our machine, I installed and played a bit of Hotline Miami and Metro: Last Light. Both games ran as expected. I have no evidence yet whether the operating system’s proprietary Nvidia drivers actually boosted my frame rate or not, but I also didn’t run into any problems. 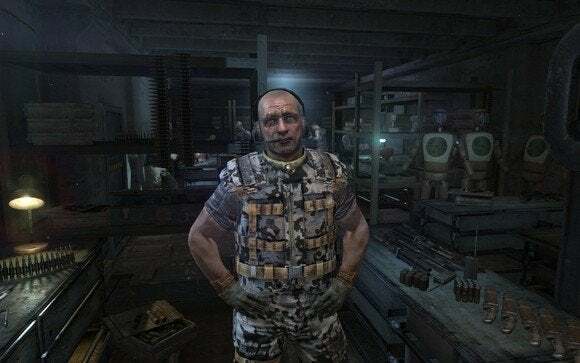 Metro: Last Light looks just as pretty as always. Screenshot taken on SteamOS. 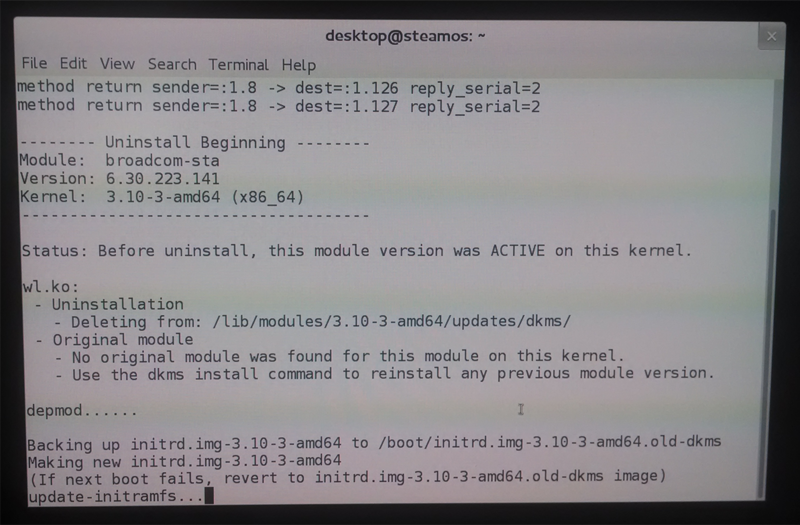 Valve isn’t lying: SteamOS is as beta as they come. The biggest features—family sharing and streaming games over your home network—aren’t even implemented yet. In fact, even simple features like “ability to dual-boot” and “ability to use my AMD graphics card” aren’t implemented. And that’s fine. This is a beta. It’s not supposed to be finished. Or, at least, that’s how things would work in an ideal world. In the real world, of course, once it’s publicly available on the Internet, people are going to access it. Let this article serve as fair warning: SteamOS is not worth the hassle of installation unless you’re actually interested in participating in the beta. By that I mean finding bugs, providing feedback to Valve, and doing work. You’re not going to replace your current operating system with SteamOS yet. Don’t throw out your copy of Windows. Don’t even bother switching from Ubuntu or whatever other flavor of Linux you’re running. 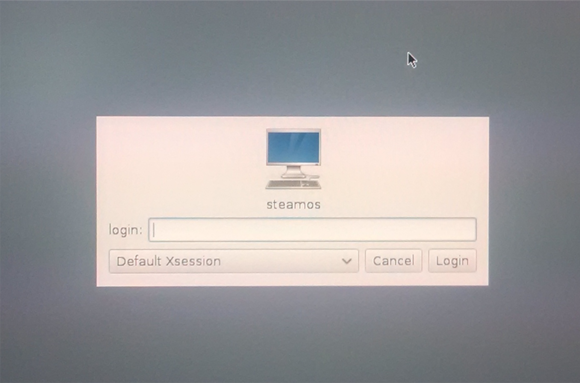 SteamOS as it stands is a mere proof of concept—a sign of what’s to come.